Twitter, the social network accessed by millions of users worldwide, now serves as one of the most dependent platform to share and follow what users want. According to the micro blogging site, almost a ”Billion” Tweets are made everyday of users telling others what they are listening to. Apple and Twitter reached a deal, announcing that the Ping, the company’s social network for music would start featuring Tweets. Twitter and Ping users would have the access to share music discoveries with their friends by posting, song previews, links to purchase, as well as other Ping activity which they want others to know, right from the social music network. With Twitter on Ping, you can locate friends on the Twitter network who are Ping users and link to them. Once linked, all activity which you post, like, review or tell some handy details on Ping, will automatically be tweeted to your Twitter Followers. Apple had been in talks with Facebook, to secure a deal between each other, in order to provide services. But the deal couldn’t go through and broke down at the eleventh hour. Apple did need a social network, as to make the Ping music network popular amongst many. 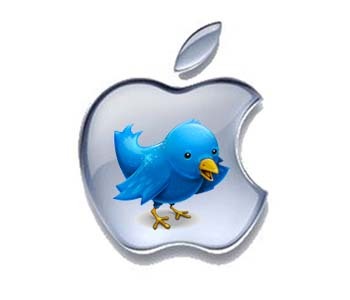 This is where Twitter stepped in and made the rescue, while we still wait and see, where does Twitter take Apple’s Ping Store. On Ping, you can easily link to your Twitter account to instantly find Ping users among the people you already follow on Twitter. Once you’ve linked the accounts, whenever you Post, Like, Review, or tell your friends why you purchased a song or album on Ping, this activity will also be tweeted to your Twitter followers – complete with playable song previews and links to purchase and download music from iTunes. The iTunes song previews are only made available on Twitter.com, in 23 countries where the iTunes Store offers music. This is so overdue!! Perhaps, now everyone will actually know Ping exists and use it.